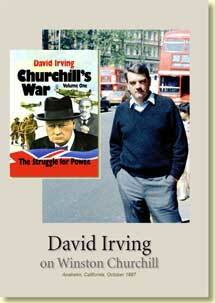 Focal Point Publications :: DVDs :: DVD: David Irving on Winston Churchill DVD (110 mins). Home :: DVDs :: DVD: David Irving on Winston Churchill DVD (110 mins). 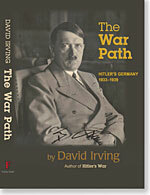 In 1972 David Irving signed an agreement with a major London publisher for a biography of Winston Churchill to complement his flagship work Hitler’s War. 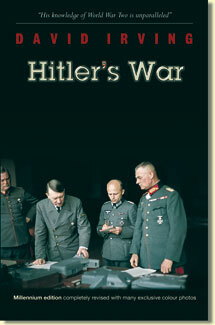 By the time the first Churchill volume was ready, he was under global attack for the work on Hitler, and nobody protested when he took Churchill’s War to a tiny publisher in West Australia, Veritas, instead. The first volume appeared in 1987. At the invitation of Veritas, the author made a global speaking tour promoting the work. It went straight to the Number 1 position on The Sydney Morning Herald’s best-seller list. This triumph only added to the attempts to silence David Irving. It turned out to have been his last global tour. Pressure was applied to many of the countries not to allow him in again. Fortunately the United States has a tradition of free speech, even for unpopular and radical thinkers. Mr Irving delivered this talk to an audience in Anaheim, Calif., October 17, 1987. 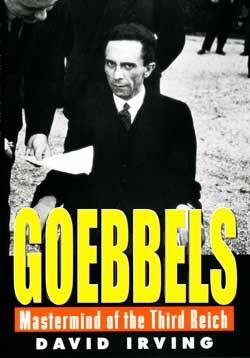 Many of the well-documented opinions which he espouses on Churchill’s motives and on the origins of World War II are not only new but harrowing to those brought up on the traditional view of history.